Make a bold statement in this pink blazer. 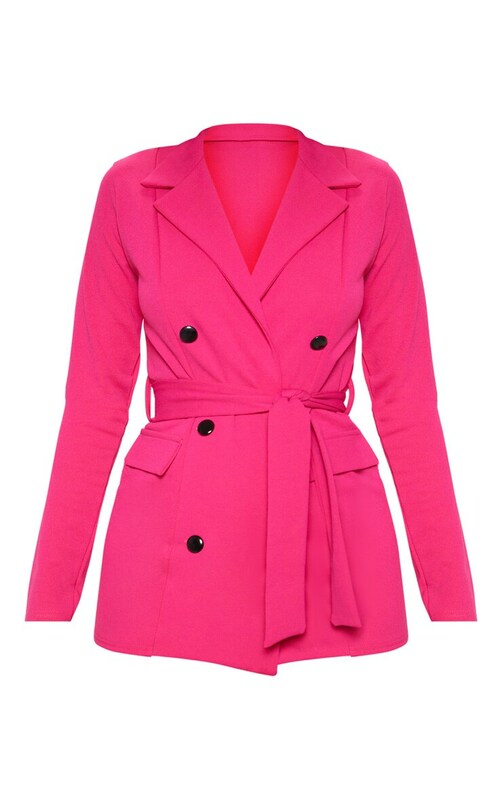 Featuring a pink crepe material with button detailing and tie waist detail. Team this with the matching bottoms and strappy heels for a look we are loving.